Watch highlights from last year. 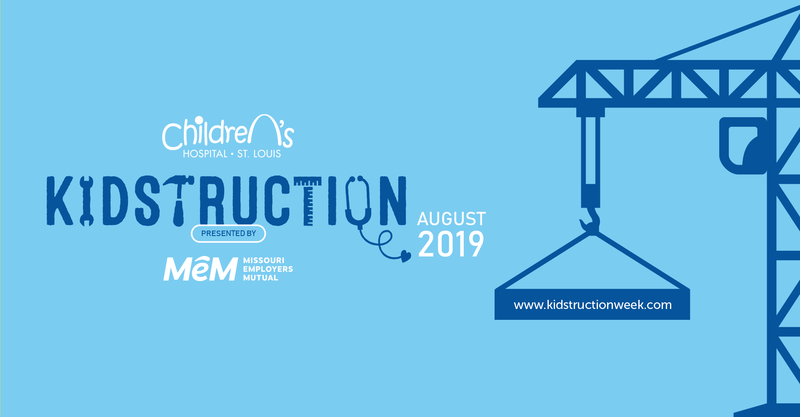 KIDstruction Week is an opportunity to for the construction, engineering and architecture industries to join together and support the patients and families at St. Louis Children's Hospital. This campaign asks you to consider a $1 donation or more to St. Louis Children's Hospital for every hour worked during “KIDstruction Week” in August. Just $1 per hour, for one week. That's it. Simple, yet powerful. Join the 3,000 + individuals already participating. Help build the future of a child.